The web design industry in the Philippines is a growing sector in the Philippines and is slated to grow even more in the years to come. There is no denying that the Philippines is already a top player in the BPO industry on a global scale, thanks mainly to the country’s booming presence as a contact service provider to several large companies based in the United States, Canada, and Europe. The Philippines offer more than just answering phone calls and providing topnotch customer assistance to people from all over the world. Filipinos are very creative, imaginative, and know how to put to good use their visions and passion in the art of web designing. More and more Filipinos now are entering the web design industry, giving excellent services and catering to the web design needs and requirements of just about everyone in the whole world. Filipino talents are world class, as far as web designing is concerned. In fact, many renowned web designers in the world are from the Philippines. Among of whom is Prismona Wu De Leon, a female web designer who has been a major player in the local web design scene for 7 years now. Prismona has designed for various clients with varying demands and specifications and has never failed to surpass, much more meet, her customers’ expectations. “She has exceeded my expectations on all of the projects I have completed with her and she definitely puts in the “extra” effort that is missing in so many designers, ” says Brian Evans, proprietor of Innovative Marketing Services. More than just high level web designing expertise, Brian is very right in how Prismona and the rest of the Filipino web design community pour in the “extra” effort to their work. Filipinos, as mentioned earlier, are very passionate when it comes to doing what they love and if you happen to hire someone who is very passionate and enthusiastic with web designing and all its intricacies and complexities, then you can expect more than just a high class web theme and coding. Another popular Filipino web designer is Vince Mangaoang, who has taken his services to clients based in the United States and the United Kingdom. Currently working for an American web development company, Vince started in the web designing business when he was 15. After a few years providing top class web themes for friends and start up businesses, Vince decided to pursue a full time career as a professional web designer. Like Vince, many Filipino web designers have gained interest in the art and science of web designing at a young age. It can be linked to the innate creativity and wild imagination Filipinos have for the arts and popular culture, as well as the undying love for computers, the internet and programming. While there is no exact figure to determine how many Filipino web designers are actually certified in numerous web designing software and platforms, it is hard to argue that the actual figure is relatively small, considering that there are many web designing schools that sprouted up in the country in recent years. On top of that, major colleges and universities in the Philippines have integrated web designing and development as part of the curriculum for college students who are taking computer studies, computer engineering, electronics and communications, business administration, and information technology among others. In other instances, learning basic web design and development principles are now offered as alternative or optional courses for non-technical and computer-related studies such as chemistry, natural science, physics, liberal arts, and philosophy. There are also several institutions that offer 2-year and 1-year crash courses on web development and design. Such drive in the country to encourage those who cannot afford college education to learn web design is more than an indication how huge an industry web designing is in the Philippines. What Rates Should I pay? 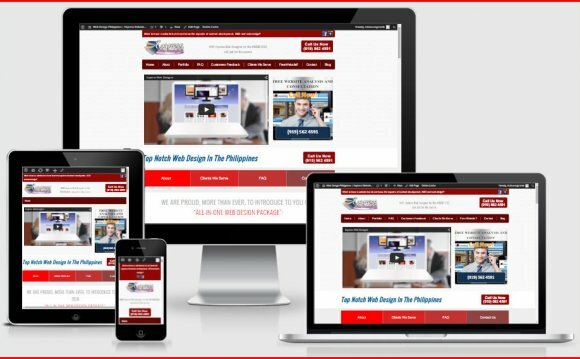 There is no standard rates for web design services in the Philippines. Prices vary according to various factors such as experience and expertise of the web designer, the scope and range of the project, time windows and deadlines, and other specifications posed by the clients. We charge $10-$20/hr for the best website design in the world. Best Mobile Web Design Manila, Philippines - Very Affordable!